Compared to taxes on alcoholic beverages such as wine and beer, distilled spirits are taxed at much higher rates across the states, ostensibly to adjust for higher alcohol content. Today’s map shows how spirit excise taxes in your state compare. Data for this map come from the Distilled Spirits Council of the United States. 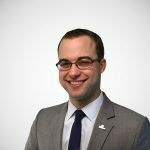 To allow for comparability across states, they use a methodology that calculates implied excise tax rates in those states with government monopoly sales. 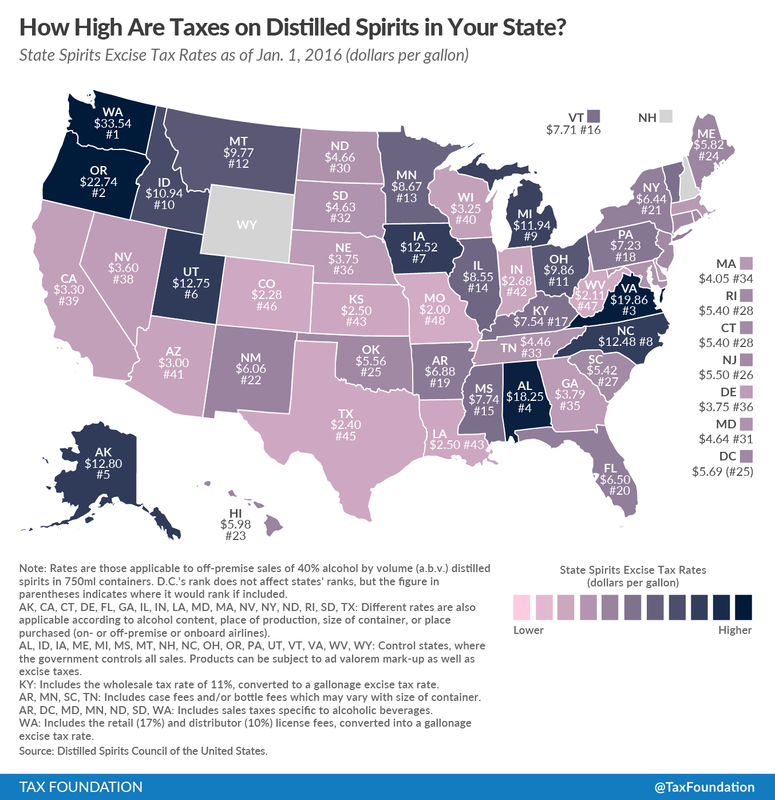 Washington has the highest spirit excise tax rate at $33.54 per gallon, followed by Oregon ($22.74), Virginia ($19.86), Alabama ($18.25), and Alaska ($12.80). Tax rates in Wyoming and New Hampshire are the lowest, where government-run stores largely rely on ad-valorem markups rather than taxes. Following Wyoming and New Hampshire are West Virginia ($2.11), Missouri ($2.00), Colorado ($2.28) and Texas ($2.40). As with many excise taxes, the treatment of spirits varies widely across the states because of various factors. Spirit excise rates may include a variety of other taxes and fees including: a wholesale tax rate converted to a gallonage excise tax rate; a case and/or bottle fee, which can vary based on size of container; a retail and distributer license fee, converted into a gallonage excise tax rate; and, additional sales taxes. Note that we do not include general sales tax in this measure, only those in excess of the general rate. Rates may also differ within states according to alcohol content, place of production, or place purchased (such as on- or off-premise or onboard airlines). For more on alcohol taxes, see here.